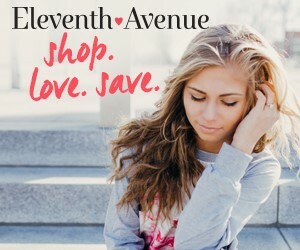 Happy Thursday and welcome to the first day of the 12 days of Christmas! 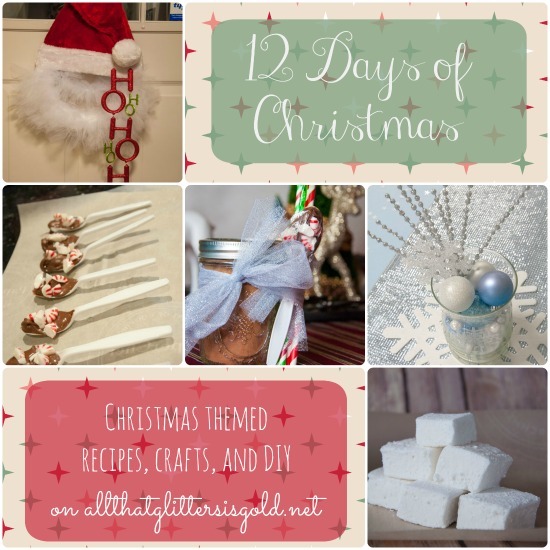 Every day for the next 12 weekdays I will be showcasing an awesome Christmas craft or recipe! 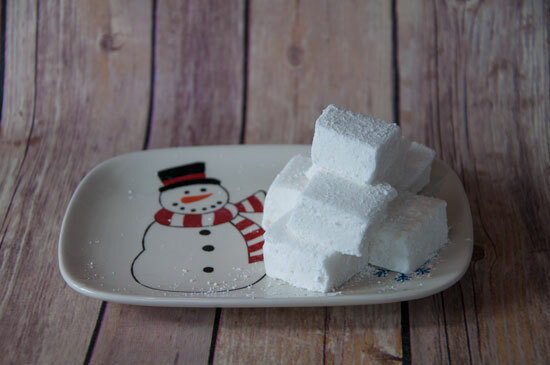 For day 1, I have a fabulous recipe for you: homemade marshmallows. 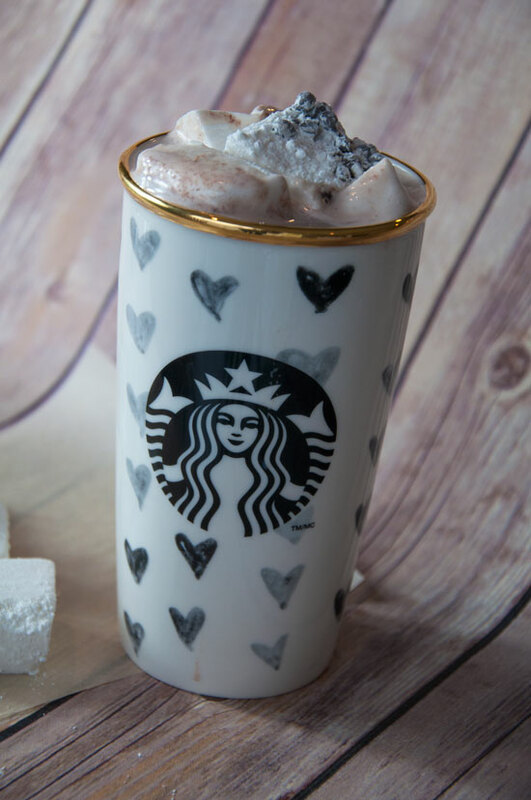 These are SO good! We are having a hot chocolate bar at our company holiday party and I have made these especially for it. 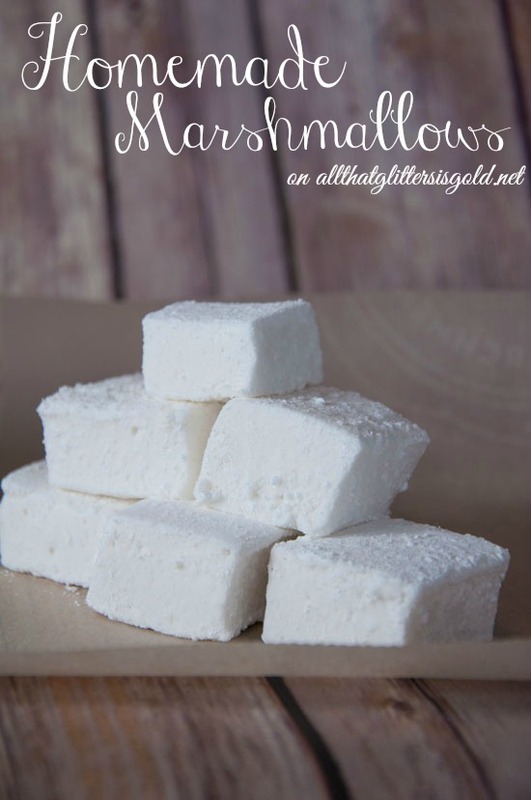 Oh and you know, to have a few for myself with my hot cocoa:) All I have to say is that they are SO easy and they are even better than store bought marshmallows! I made two kinds, chocolate chip (inspired by Panera’s) and regular ones. 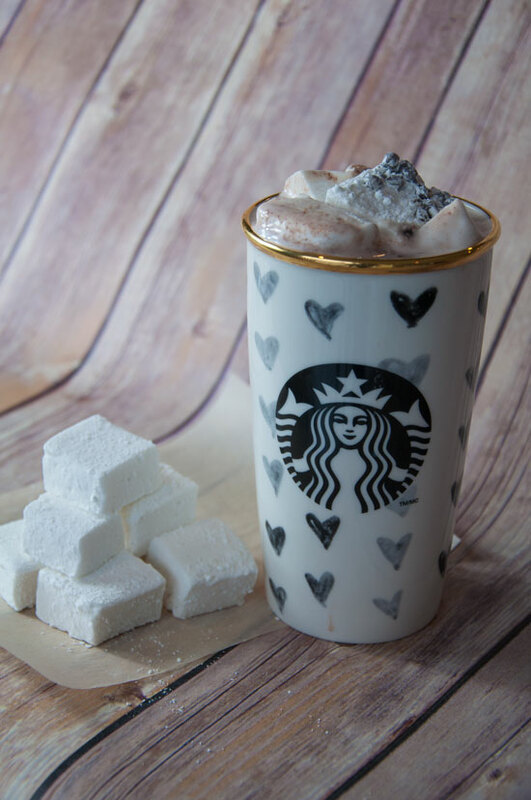 If you haven’t been to Panera this holiday season they give you chocolate chip marshmallows with your hot chocolate and they were my entire inspiration behind making marshmallows at all:) Have fun making them and enjoy! 1 cup light corn syrup- for a recipe with no corn syrup, used 1 cup maple syrup or 1 cup honey instead! Put 3 packets of gelatin into a bowl with half a cup of cold water. Mix together and let sit. In a saucepan mix the other 1/2 cup water, sugar, corn syrup (or maple syrup/honey), and salt. Let the concoction cook on high for 3-5 minutes. Turn heat down to low and let cook for 7-10 more minutes or until extremely hot! Go back to the gelatin and water mix and stir it again, it will be chunky now. With your mixer on, pour the hot sugar and syrup mixture into the gelatin mixture. Mix in your bowl for 15 minutes or until fluffy! Put some parchment paper into a cake pan and spray it with your olive oil spray. Mix together your powdered sugar and corn starch in a bowl and sprinkle over your parchment paper and olive oil. 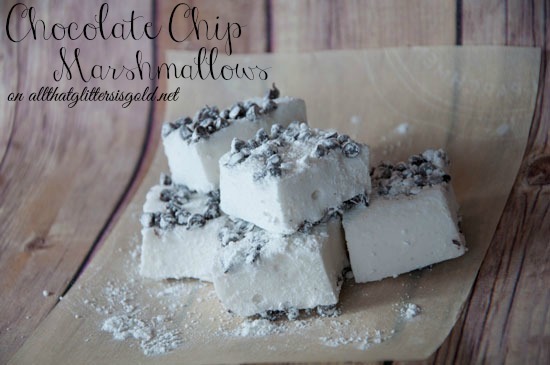 If you plan to make chocolate chip marshmallows, sprinkle the mini chips on the bottom of the pan as well. 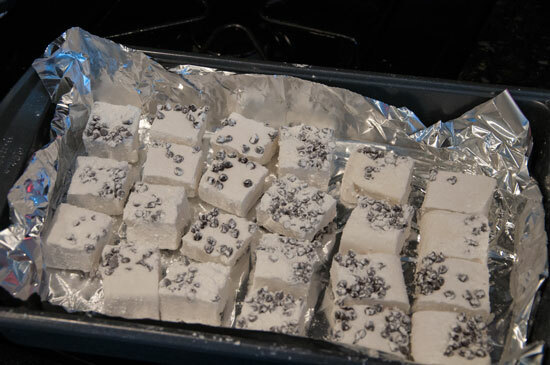 Spread out your marshmallow mixture in the pan. It will level itself out. Sprinkle on more of your powdered sugar mixture. 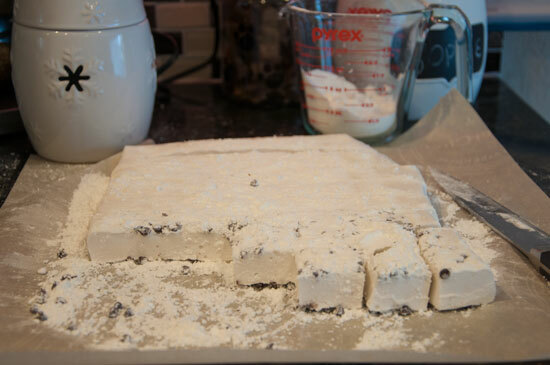 Once they have reached a marshmallow consistency, take them out of the pan and slice into squares. 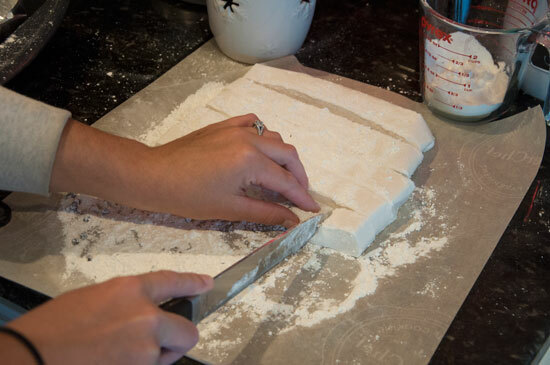 Sprinkle with more powdered sugar on each side. 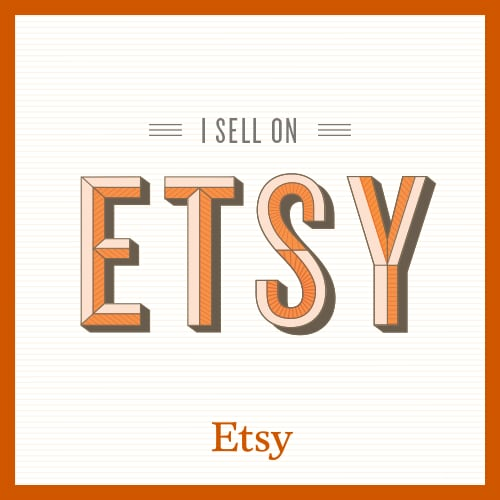 These babies will last for a few weeks if you store them in an airtight container. 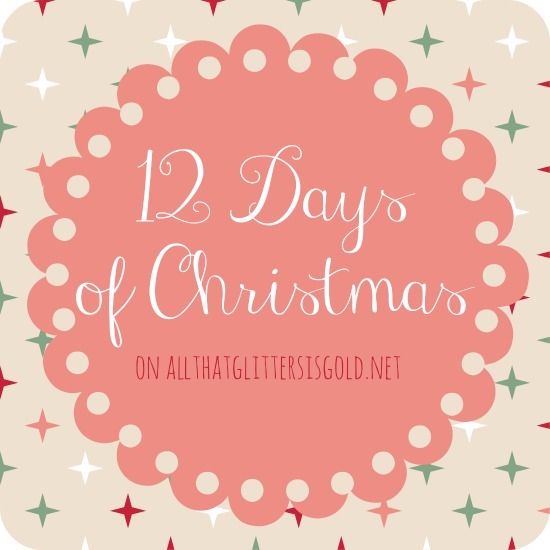 Stay tuned tomorrow for Day 2 of the 12 Days of Christmas, there’s an exciting craft coming your way!